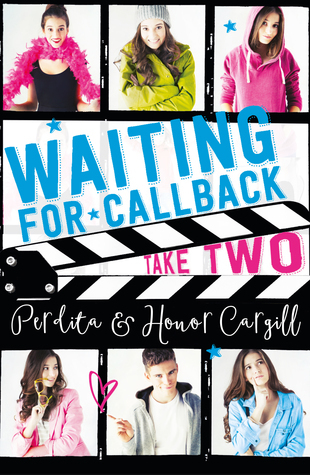 As part of the Waiting For Call Back - Take Two blog tour, I'm so pleased to welcome Honor and Perdita Cargill onto the blog. P: I’m putting you on the spot – favourite cover? H: That is like asking me to choose a favourite child. And you’re just getting in that question before I can. Both, obviously. They’re glossy and embossed *takes a minute to swoon over the little blue stars– they feel like presents… OK, maybe the Take Two cover by the tiniest of margins. P: Not least because you got your own way and they went for blue. H: I like blue, especially neon blue and – don’t judge me – but it works with my Instagram. 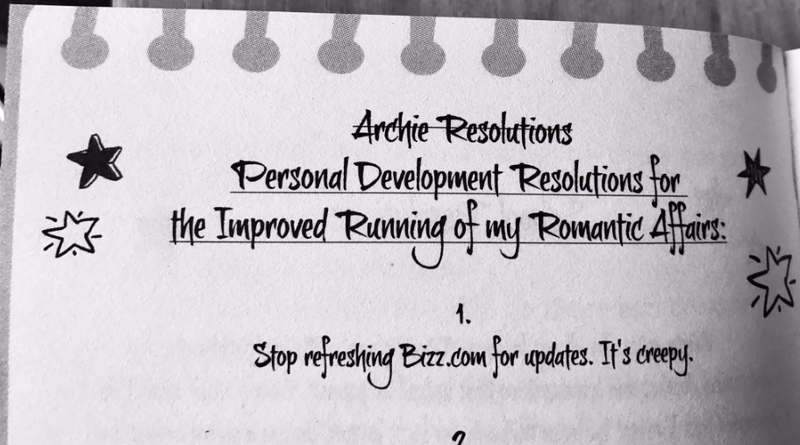 He has a good Archie vibe and the deciding factor was that his name in real life is Carlo (spelled differently but still!). Given the author/character love triangle that I’m very much enjoying, that was A SIGN. P: Jenny Richards is a genius. I love them both too (the covers not Archie and Carlo because that would be weird). The pink and silver is really pretty but I think the second one is even stronger. And we’ve got art-work inside too and now we can talk about it because the book’s out! It wasn’t just that we wanted it to look as fab inside as out, we wanted to break up the text not just with our lists but with other ‘special features’. 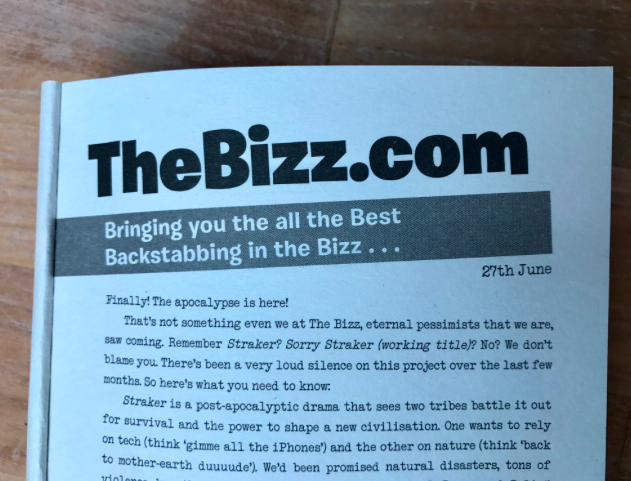 For example, we’ve got Bizz.com articles reporting on the unfolding on-set sagas in their own upbeat borderline tasteless style all the way through the book and they look fab. 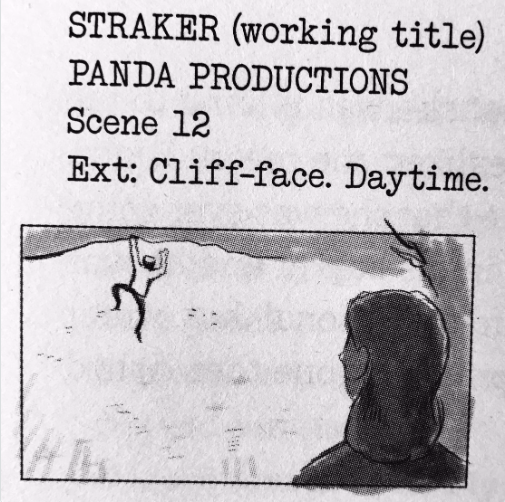 H: And SandS get a lot of points for not melting down when we casually asked for a story board to illustrate Elektra’s first day filming on Straker even though our ‘directions’ were hopelessly vague and of the can-we-have-something-that-looks-great-not-sure-what-and-we-can’t-draw variety. Thank you Jack Noel – we’re not quite sure how you managed to pull it off but you so did! I always like books where the text is broken up every now and again in some way (maybe it’s got something to do with my dyslexia?) 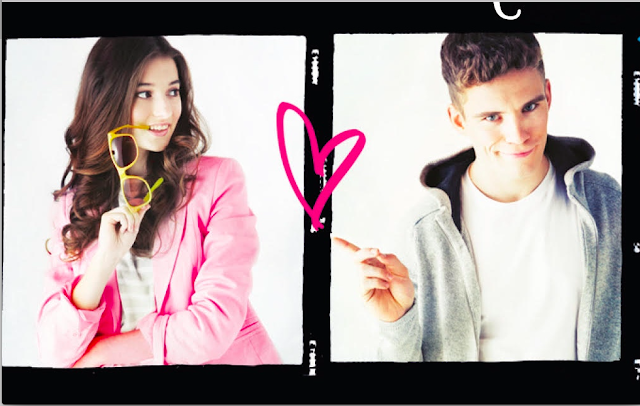 and I love illustrations in books – more teen books should have them. P: The London to Transylvania map is a bit closer to what you sketched though Hon – I’m still not sure if the *these are the only countries I know annotation was you or Elektra speaking. H: Both. Occasionally we just mind meld. Let’s end with a tiny detail from the Wrap Party invite because I love it and because it’s always good to end with an invitation. And yes, (drum roll, exclusive reveal) the Wrap Party will feature in Book Three. 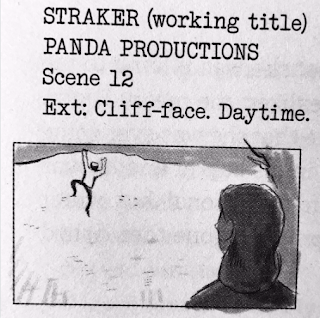 It’s shaping up to be an epic scene and that is all I can tell you. P & H: Thank you Vivienne for having us to visit! Tomorrow we’ll be over on Alix’s blog Delightful Book Reviews chatting about Post-Production (confessing to what goes on back-stage during edits! ).